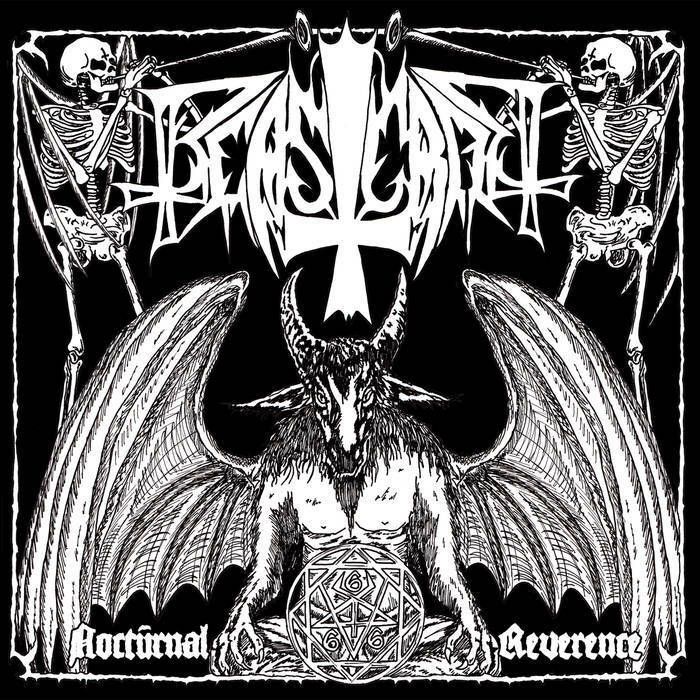 Home › • BEASTCRAFT Nocturnal Reverence 7"
• BEASTCRAFT Nocturnal Reverence 7"
Bridging the two different eras of early Black Metal, BEASTCRAFT pays tribute to the vital individual artistes and bands from the first and second wave of Black Metal! With this momentous 7" EP, the track opener &apos;In Thy Glory&apos; was written as a form of homage to the late Quorthon of Bathory; whom was one of the forefathers of the Scandinavian Black Metal movement. As a tribute to the second wave of Black a Metal, the Darkthrone cover song &apos;Unholy Black Metal&apos; was included and the final track &apos;Satanic Blood&apos; is a cover song from one of the most highly regarded Black Metal band Von. 7" EP version available in both limitations of 300 copies on Black vinyl and an exclusive 200 copies on Transparent Red vinyl.